Not from Jerez, more Cognac-like. This family-owned distillery was founded in 1946 by Don Narciso Mascaró in Vilafranca del Penedès, Spain, some 50km from Barcelona. This is one of the few Brandy distilleries from Spain that is not located in Jerez. They produce Wines, Cavas and Brandies and other spirits with 11 Charentais Stills, using the double distillation method. Their Holandas (spanish for eau-de-vie) are aged in 300 litre French oak barrels. Mascaro Ego X.O. is made from the Penedès grapes and is aged for a minimum of 8 years in limousin barrels. Double distilled with Charentais copper stills and bottled at 40% ABV. Much more Cognac-like, than Brandies de Jerez. What does Mascaro Ego X.O. taste like? The Flavor Spiral™ shows the most common flavors that you'll taste in Mascaro Ego X.O. and gives you a chance to have a taste of it before actually tasting it. Rich, with notes of fine wood, spices and vanilla. Structured complexity. Creamy, nuts and spices. Notes of vanilla and bakery. 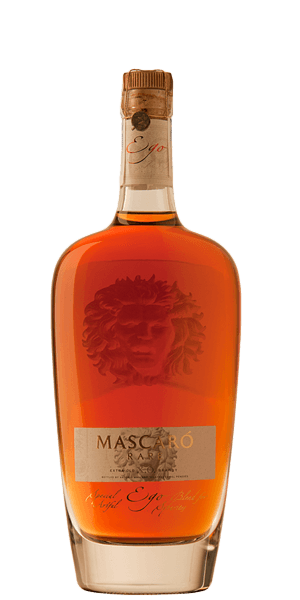 Member Reviews and Ratings of Mascaro Ego X.O.